Bought this to use with mineral blusher, best tool ever, Real Techniques brushes are the real deal! In love with this brush! Super soft, it picks up the right amount of product . Really recomended. This is a must have beauty brush! Highly recommend this and all real techniques products.....just love pixiwoo!!! A MUST HAVE! Better than some of the higher end brands......you will NOT regret this purchase!!! Already own this brush but it's so amazing I've just re - purchased another as a back up!!! Very highly recommend all real techniques brushes and looking forward to seeing there collection coming out soon!!! This is with no doubt the perfect powder brush! It's the second one i ordered cos i love it so much. I only wish it had a travel version. highly recommended powder brush, can grab the powder easily and spread evenly over the face. high quality and reasonable price, will buy more real techniques brushes. Real Techniques : Now my favorite brushes !!! This is one of my first Real Techniques brushes . I decided to try this brand after some advices form friends .I don't regret it at all ! These brushes are not so expensive so it worth the money spent ! 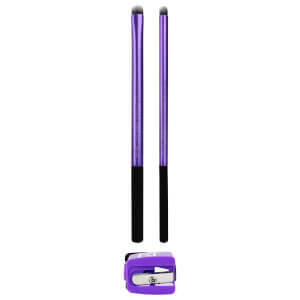 It is a very soft brush,it doesn't scratch my sensitive skin so it's perfect ! It takes just the necessary quantity of product, so no wast of make up ! Also easy to clean. 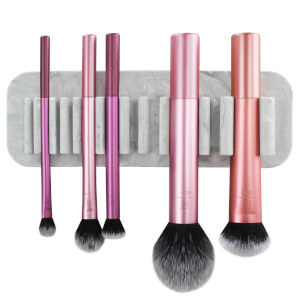 I use this brush with my Urban Decay Naked Skin Compact Powder . 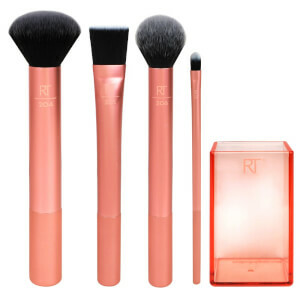 I gonna buy all the rest of the range of RT brushes ! This Brush is so soft I love it!